It can improve the way you look, bite, chew and speak. 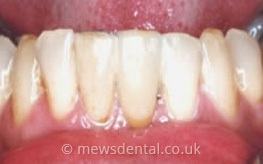 The false teeth can be matched to the colour and shape of your teeth. The gap left by a missing tooth can mean greater strain is put on the natural teeth at either side, causing increased wear and tear. 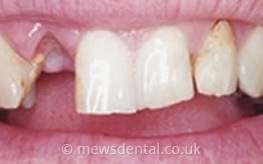 A gap can also mean your ‘bite’ is affected, because the teeth next to the space can move or tilt into the gap and alter the way the upper and lower teeth bite together. 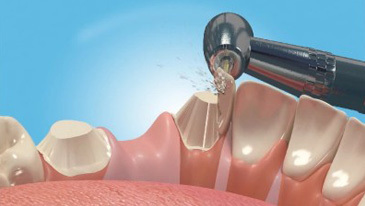 This can then lead to food getting packed into the gap, which may cause both decay and gum disease. 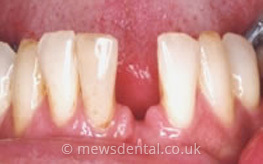 The longevity of any bridge is dependant on the standard of appropriate homecare by the patient. The bridge itself cannot decay, but decay can start where the edge of the bridge joins the tooth. 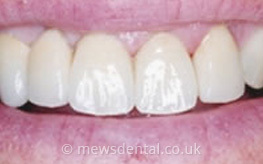 Therefore it is important to keep this area as clean as possible with thorough toothbrushing and use of special floss which can be threaded underneath the false teeth on the bridge. The dentist and hygienist will give you individual advice regarding the homecare of bridges, so that their lifespan is maximised. If you have just had some teeth taken out, a temporary denture might be made first, with a bridge fitted later when the gums have healed.